The indictment in recent days by a government-controlled court in Phnom Penh, the capital, was the latest effort by Prime Minister Hun Sen to sideline opposition politicians and independent news outlets as he tries to maintain his 34-year grip on power. Warrants were issued for Sam Rainsy, a founder of the Cambodia National Rescue Party, which has been dissolved; two of the party’s vice presidents, Mu Sochua and Eng Chhai Eang; and five other party members. They were charged with incitement to commit a felony and plotting to commit treason, charges they say are without merit. The eight opposition figures fled the country in 2017, fearing arrest during a crackdown on their party, and they say that if they returned now they would be subject to detention under the new warrants. “Returning home from exile is to be with the people and to restore hope for Cambodia to move forwards to positive change,” she added. The Cambodia National Rescue Party had been the main challenger to Mr. Hun Sen, but it was shuttered by the Supreme Court in 2017, effectively turning the country into a one-party state. 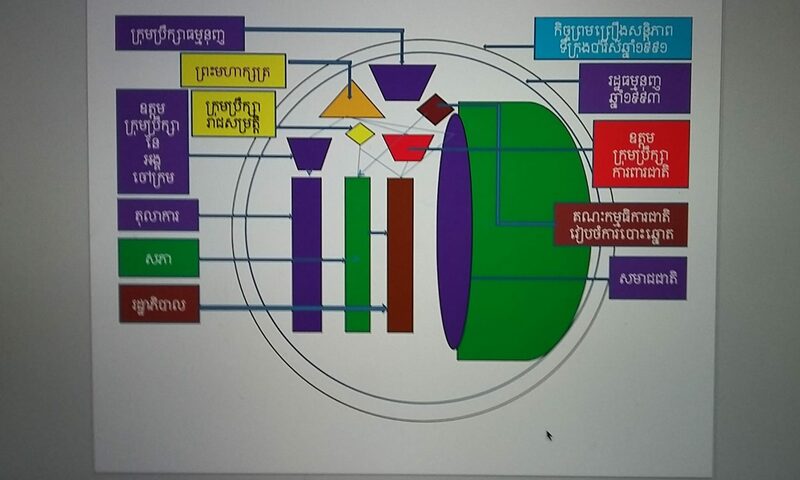 In the last parliamentary election, in July 2018, Mr. Hun Sen’s Cambodian People’s Party claimed all 125 seats. Mr. Hun Sen has also cracked down on the independent news media, most significantly by forcing the closing of The Cambodia Daily, whose formation in 1993 had been a signal of the country’s turn toward openness and democratic rule. For the past two decades, he has been rolling back democratic standards put in place by the United Nations in the early 1990s, clipping the wings of nongovernmental organizations and human rights groups. Today, I would like to express deep sadness and share condolence with family and friends of Dr. Benny Widyono who passed away this March 16, 2019. He was the key secretary and UN’s official during UNTAC in Cambodia. 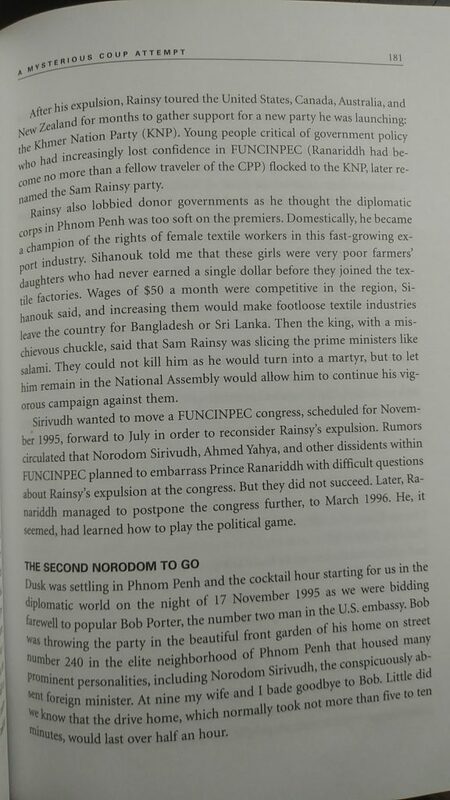 But what I am most impressed is his book “Dancing in Shadow” in page of 118-181 illustrating the political tactic of Hun Sen’s DIFID (Divide, isolate, finish, develop) to divide and isolate Sam Rainsy and Prince Sirivudh which has weakened FUNCIPEC ever-since. 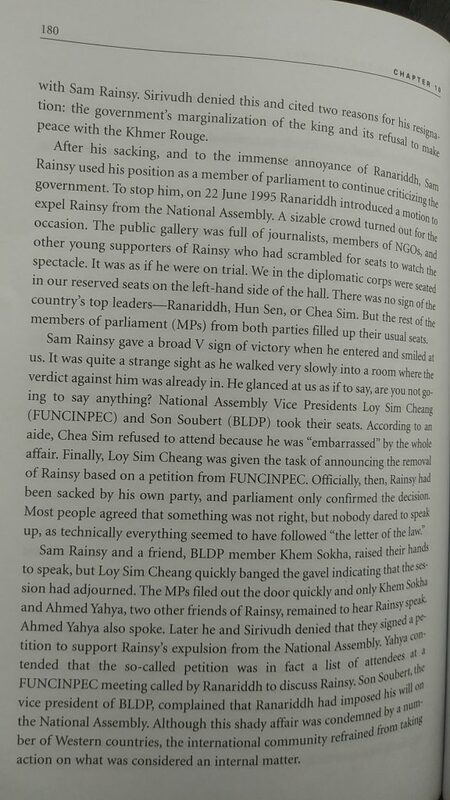 But the most exotic memoir is Kem Sokha who was MP from Buddhist Development Party of Sen San stood up to protest in the parliament for this illegal act of expelling Sam Rainsy from the Parliament and stripped off his Parliamentary impunity. 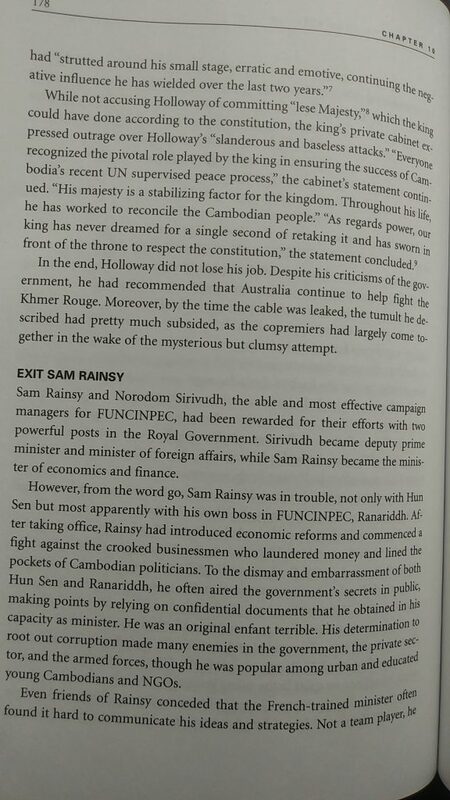 So, the principle of Sam Rainsy-Kem Sokha is ONE of modern CNRP has been historically identical of their ideal since 27 years ago. 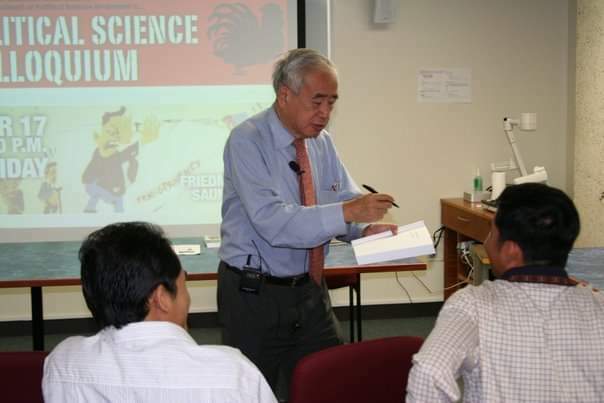 Alvin Lim is a Ph.D. student in Political Science at the University of Hawai‘i. Lim received his B.A. (Hons) and M.A. from the National University of Singapore, and taught Philosophy for three years at Pannasastra University in Phnom Penh, Cambodia. Widyono, Benny. (2008). 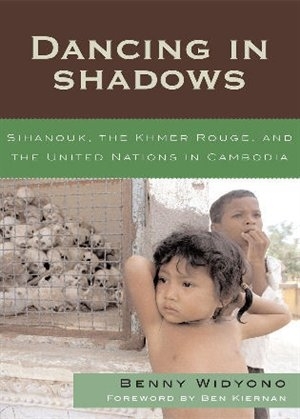 Dancing in Shadows: Sihanouk, the Khmer Rouge, and the United Nations in Cambodia. New York: Rowman & Littlefield. Benny Widyono’s gripping!Dancing in Shadows is a memoir of his peacekeeping and diplomatic work in Cambodia: in 1992-93 he served as the United Nations Transitional Authority in Cambodia’s (UNTAC) Provincial Director of Siem Reap; subsequently in 1994-97 he served as the UN Secretary-General’s Political Representative to the Royal Government of Cambodia (2008, p. xxvii). Dancing in Shadows begins on an unexpected note with! 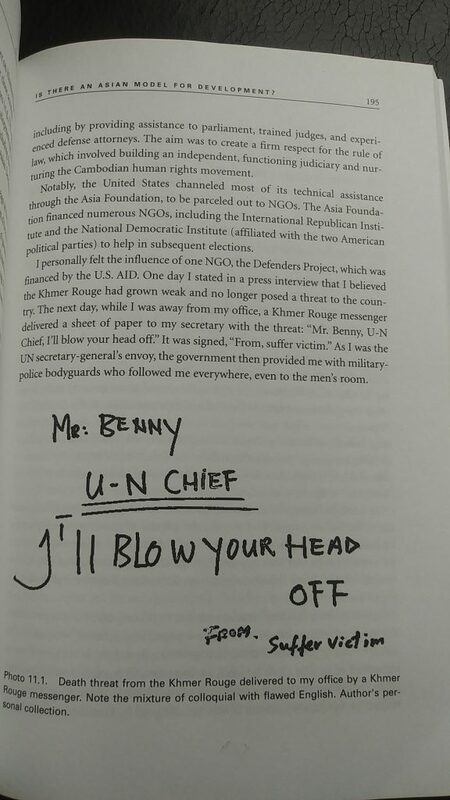 Ben Kiernan’s foreword that focuses on the role of Indonesians in resolving the Vietnamese occupation of Cambodia, paving the way for UNTAC. Kiernan notes a July 1980! meeting at Phnom Penh’s! Noor Al-Ihsan mosque between Cham genocide survivors and!Indonesian journalists. Their pioneering reportage triggered a change in Indonesian policy towards Cambodia which eventually led Indonesia to guide the warring Cambodian factions to reach a peace settlement (ibid., pp. xvii-xxiv). 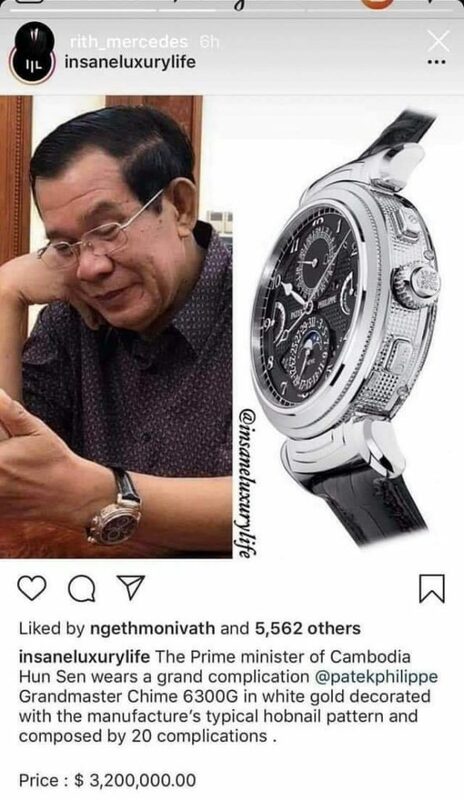 This largely unknown thread of Cambodia’s tortured recent history nicely introduces the role of Widyono, himself an Indonesian citizen; for the key Indonesian role in the Cambodian peace process is also reflectedn Widyono’s subsequent participation in UNTAC. The Indonesian-Cambodian connection does not end there: Kiernan (ibid., p. xix) and Widyono (ibid., pp. 23-24) both note Indonesia’s and Cambodia’s mirrored experiences with politicide and genocide. This tragic mirroring is not just an academic observation for Widyono, as his ethnic Chinese heritage subjected him and his family to General Suharto’s anti-Chinese policies (ibid., p. xxix). 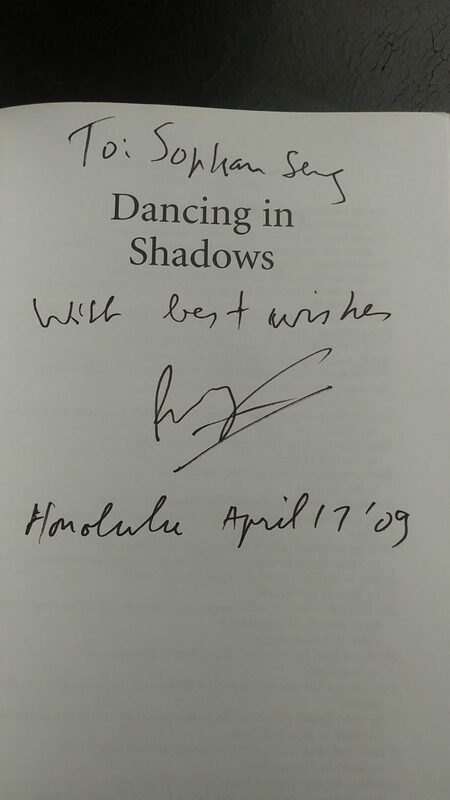 The key contribution of Dancing in Shadows is found in Widyono’s critique of the Cambodian peace process. 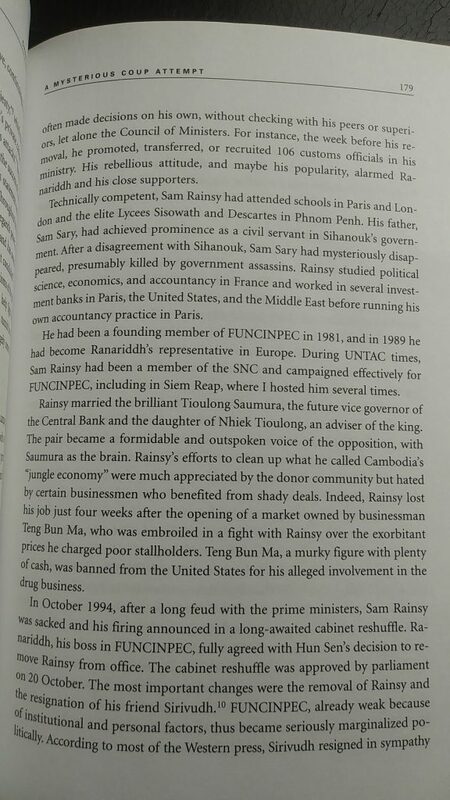 Unlike other academics, he was actually part of UNTAC’s top administration, and enjoyed a privileged perspective of the mission’s ultimate failure in Cambodia. In Widyono’s view, UNTAC’s ultimate failure stemmed from two significant flaws in the 1991 Paris Agreements. First, the Agreements legitimized Pol Pot’s genocidal Khmer Rouge faction; second, the Agreements downgraded the status of Hun Sen’s្្ State of Cambodia (SOC) regime, disregarding its extensive administrative and military control over most of Cambodian territory (ibid., p. 35). These problems would adversely affect UNTAC’s subsequent performance. Not only did the Khmer Rouge pose a significant military challenge to UNTAC; UNTAC also found itself incapable of asserting its nominal authority over the SOC’s apparatuses of power (ibid., p. 42). Cambodia and China will kick off preparations for their third annual joint “Golden Dragon” military exercise on Feb. 28, Cambodia’s National Defense Ministry announced Wednesday, highlighting improved ties between the two countries as Western influence in the Southeast Asian nation wanes. 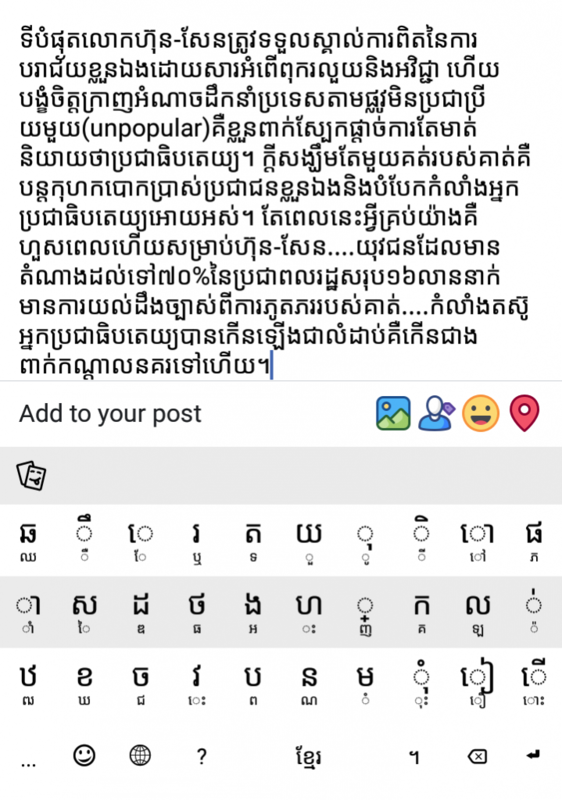 In a post to his Facebook account, Ministry of National Defense spokesman Chhum Socheat said that more than 250 Chinese and 2,500 Cambodian military personnel will attend the drill, held at the Chum Kiri Military Shooting Range Training Field in Kampot province’s Chum Kiri district. After two weeks of rehearsals, the 15-day exercise will begin with a March 13 opening ceremony attended by Royal Cambodian Armed (RCAF) Commander-in-chief General Vong Pisen and end with a March 27 closing ceremony overseen by Defense Minister General Tea Banh, the post said. 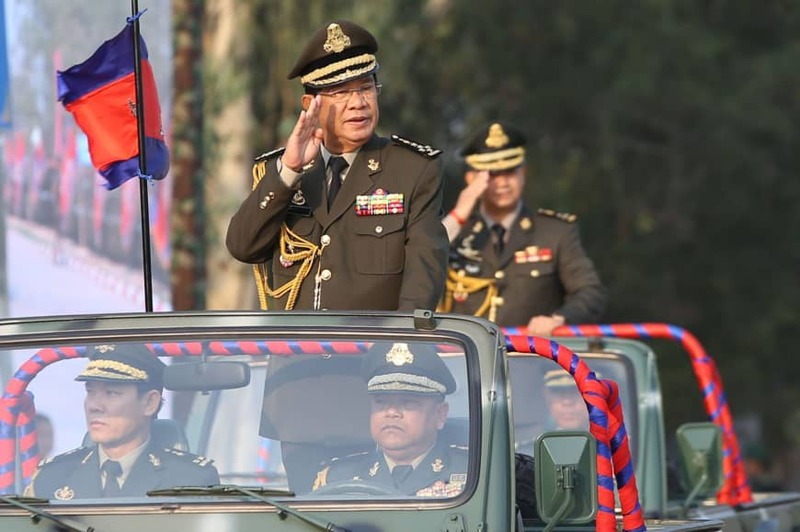 “This military exercise reflects the government’s stance that the Royal Cambodian Armed Forces implement the national defense policy between Cambodia and China and for cooperation in all sectors,” Chhum Socheat said. According to Chhum Socheat, the exercise will involve “important military equipment” including armored trucks, tanks, and helicopters, as well as artillery and mortars. This year’s Golden Dragon exercise is the third and largest joint Cambodia-China military drills to be held on Cambodian soil since Cambodia’s Defense Ministry abruptly suspended annual “Angkor Sentinel” joint exercises with the U.S. military and abandoned counter-terrorism training exercises with the Australian military in 2017. The government had claimed it was too busy preparing security for commune elections in June last year to take part in the exercises, but they have yet to be reestablished.